Candidates will be required to store electronic devices (cell/mobile/smart phones, tablets, pagers or other electronic devices) in sealable plastic bags provided by Pearson VUE at the test center. Candidates who refuse to store their electronic devices in the Pearson VUE provided plastic bag upon check-in will not be allowed to test. They will be required to reregister and pay another exam fee for any additional NCLEX appointments. You should plan to arrive at the test center at least 30 minutes before your testing time. If you are more than 30 minutes late, you may be required to forfeit your NCLEX appointment and will be required to reregister and pay another exam fee. Occasionally, technical problems may require rescheduling of your exam. If circumstances arise causing you to wait more than 30 minutes after your scheduled appointment time or a restart delay lasts longer than 30 minutes, you will be given the choice of continuing to wait or rescheduling your appointment without an additional fee. Friends, relatives or children are not allowed to wait in the test center or contact you while you are taking the examination. You will be directed to read the Candidate Statement below and provide an electronic signature, agreeing to the terms and conditions of the NCLEX. You will be required to present a valid, acceptable form of identification. You must provide your digital signature, a palm vein scan and will have your photograph taken. You cannot be tested without having these biometrics taken. For admittance to the NCLEX, you will be required to present one form of acceptable identification. The first and last names printed on your identification must match exactly the first and last names found on your Authorization to Test (ATT) email. If the name on your ID does not match exactly the name you provided when registering, you will not be admitted to the exam and will be required to reregister and pay another exam fee. You will be required to leave your personal belongings outside of the testing room. Small, lockable storage is available; however, you are not allowed to access any prohibited personal items at any time during your exam, including breaks. Test centers assume no responsibility for candidate's personal belongings. Hats, scarves, gloves and coats are not allowed in the testing room; however, provisions have been made for specific religious/cultural apparel. You will be asked to remove any large jewelry or other accessories before entering the testing room. The test administrator (TA) will provide you with an erasable note board that may be replaced as needed during testing. You may not take your own note board, scratch paper or writing instruments into the exam. You will have up to six hours to complete the RN exam or five hours to complete the PN exam: total exam time includes a short tutorial, two preprogrammed optional breaks and any unscheduled breaks you may take. The first optional break is offered after two hours of testing. The second optional break is offered after three and one-half hours of testing. You must leave the testing room during all breaks. All personal items accessed during breaks (including purses, wallets, etc.) may be inspected by the TA. You will be required to provide a palm vein scan before and after your break. All breaks count against testing time. Test centers administer many types of exams including some that require essay-type responses. Test centers have no control over noises made by candidates typing during another exam. Earplugs are available upon request. After your exam is finished, you will be asked to complete a brief computer questionnaire about your testing experience. When you have finished the questionnaire, you should raise your hand to summon the TA who will collect and inventory all note boards and dismiss you when all requirements are fulfilled. By providing a digital signature, I give Pearson VUE my explicit consent to retain and transmit my personal data and test responses to Pearson VUE, my licensing board, and to NCSBN (any of which may be outside of the country in which I am testing). 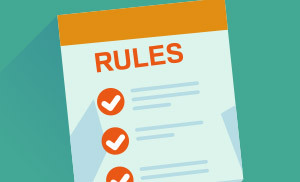 I understand the information provided and agree to follow the NCLEX® Candidate Rules. If I do not follow the NCLEX® Candidate Rules or I am suspected of cheating or tampering with the computer or engaging in any other irregular behavior (including disclosure of examination content), I will cooperate with the Test Administrator’s investigation of any suspected irregular behavior, including the surrender of any suspected test preparation or study materials. Any incident of suspected irregular behavior will be reported to Pearson VUE, NCSBN and, where appropriate, my licensing board. In the event NCSBN and/or Pearson VUE determines that I have engaged in irregular behavior, my examination may be invalidated and the licensing board may take other action and I will not be refunded my examination fee.